We offer beginner and intermediate programs to adults with varying ranges of experience. Each program consists of roughly 15-25 people. Programs fill up quick. Secure your spot today! Fall Session: Details coming soon! You'll get 2 hours of hip hop training per week where you build on one piece of choreography. You'll learn the fundamentals of hip hop, old school party grooves and today's hottest dance moves. You'll work on choreography, musicality & performance. You'll be featured in an end of session video shoot. You'll gain confidence as a dancer, join a supportive community and have fun! 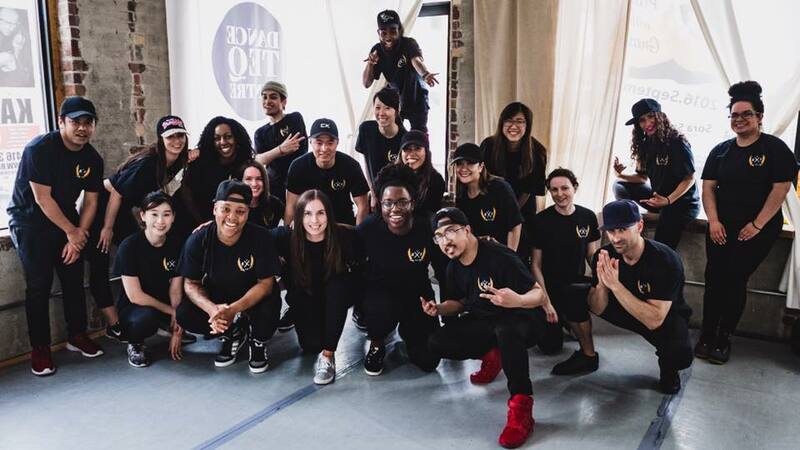 This 6-week hip hop dance program is designed for the students who have completed the 6-week beginner program or are already at an intermediate level, and are ready for a new challenge. You'll learn more advanced routines and take your hip hop knowledge to the next level. You'll get 2 hours of hip hop training per week where you'll build on one piece of choreograph. You'll work on more advanced choreography, musicality and performance. You'll take your dancing to the next level, join a supportive community and have fun! *Please note this program is by invite only. Interested in joining? Please e-mail info@runtheflex.com. Four sessions per year: Winter, Spring, Summer, Fall. Dates are announced six weeks prior to program start date. *Payment plans available. Please e-mail info@runtheflex.com to inquire.